Ken Burns and Lynn Novick say their multi-part PBS documentary about the Vietnam War, which concluded at the end of September, was intended to unpack a complex conflict and to embark upon the process of healing and reconciliation. The series has catapulted the Vietnam War back into the national consciousness. But despite thousands of books, articles, and films about this moment in our history, there remain many deeply entrenched myths. The Viet Cong was a scrappy guerrilla force fighting a superpower. In reality, the Viet Cong, the pro-North force in South Vietnam, was armed by both North Vietnam – which planned, controlled and directed Viet Cong campaigns in the South – and the Soviet Union. According to the CIA, from 1954 to 1968, communist nations (primarily the Soviet Union and China) provided the North with $3.2 billion in military and economic aid, mostly coming after 1964 as the war accelerated. Other sources suggest the number was more than double that figure. The Viet Cong had powerful and modern AK-47s, a Soviet-made automatic rifle that was the equivalent of the M-16 used by American troops. Its fighters were also equipped with submachine guns, grenades, rocket launchers and an array of other weapons. 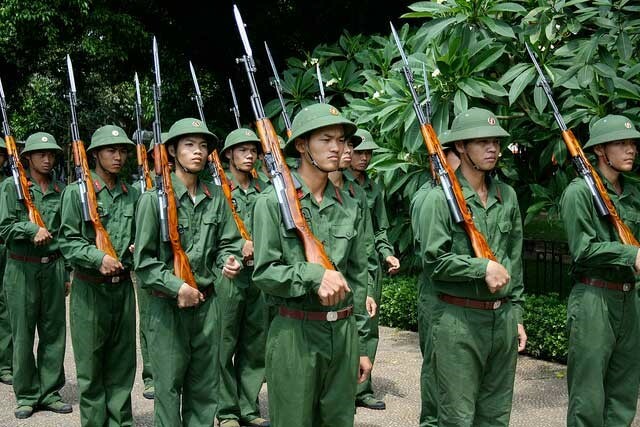 By contrast, the U.S. military gave the South Vietnamese armed forces old World War II-era castoffs, such as M-1 rifles, until the late 1970s. The Vietnamese refugees who came to the United States represented the elite. Although the group that fled in 1975, referred to as the first wave, was more educated and middle-class, many who arrived through the U.S.-sponsored evacuation efforts were also people with close ties to the Americans in Vietnam whom Washington had promised to rescue. They were not necessarily “elite.” These included ordinary soldiers of South Vietnam as well as people who had worked as clerks or secretaries in the U.S. Embassy. 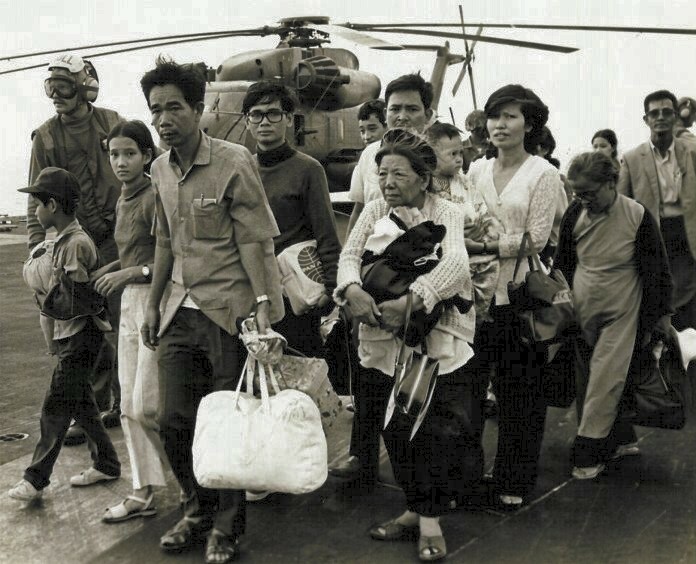 The second wave of refugees who left Vietnam after 1975 numbered approximately 2 million. They came from rural areas and were often less educated. Most escaped on rickety wooden boats and became known as “boat people”; they deluged neighboring countries of “first asylum” – Malaysia, Thailand, the Philippines, Hong Kong and Indonesia – at a rate of 2,000 to 50,000 per month. More than 400,000 were admitted into the United States. 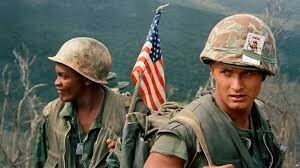 The American fighting force in Vietnam relied on the draft. The facts show otherwise. Findings from the Report of the President’s Commission on an All-Volunteer Armed Force in February 1970 show that 78 percent of active-duty troops in 1965 were volunteers. Nor did the military rely primarily on disadvantaged citizens or African Americans. According to the commission’s report, African Americans “constituted only 12.7 percent of nearly 1.7 million enlisted men serving voluntarily in 1969.” Seventy-nine percent of troops had at least a high school education (compared with 63 percent of Korean War veterans and 45 percent of World War II veterans). And according to VFW Magazine, 50 percent were from middle-income backgrounds, and 88 percent were white (representing 86 percent of the deaths). 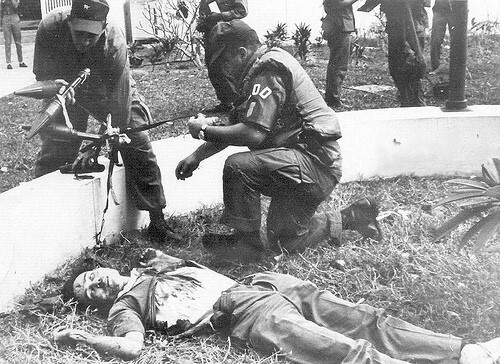 Communist forces breached the U.S. Embassy in Saigon during the Tet Offensive. One of the most pivotal events of the Vietnam War was the attack by the Viet Cong on the U.S. Embassy in Saigon in 1968. Retired ambassador David F. Lambertson, who served as a political officer there, said in one account that “it was a shock to American and world opinion. The attack on the Embassy, the single most powerful symbol of U.S. presence signaled that something was badly wrong in Vietnam. The Tet Offensive broke the back of American public opinion.” Early reports by the Associated Press said the Viet Cong had occupied the building. UPI claimed that the fighters had taken over five floors. In fact, communist forces had blasted a hole through an outer wall of the compound and hunkered down in a six-hour battle against U.S. and South Vietnamese forces. The embassy was never occupied, and the Viet Cong attackers were killed. The Tet Offensive’s other coordinated attacks by 60,000 enemy troops against South Vietnamese targets were repelled. Don Oberdorfer, writing for Smithsonian Magazine, observed that Tet was a military disaster for the North, yet it was “a battlefield defeat that ultimately yielded victory” for the enemy. In part, that was because the erroneous reports about the embassy assault were searing and humiliating to Americans, and no subsequent military victories during Tet could dislodge the powerful notion that the war effort was doomed. South Vietnamese soldiers were unwilling and unable to fight. But those who fought alongside the ARVN tell a different story. Gen. Barry R. McCaffrey, an adviser to the South Vietnamese Airborne Division, bemoaned that “ the sacrifice and valor and commitment of the South Vietnamese Army largely disappeared from the American political and media consciousness.” He wrote of the tenacious fighting spirit of those troops, particularly at the Battle of Dong Ha, where they were charged with supporting American Marine units. 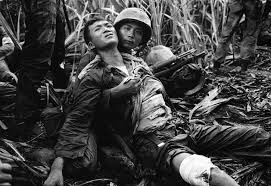 “In combat, the South Vietnamese refused to leave their own dead or wounded troopers on the field or abandon a weapon,” he recalled. South Vietnamese forces also fought off the surprise communist assaults on Saigon and elsewhere during the Tet Offensive of 1968. In August and September of that year, according to Gen. Creighton Abrams, commander of U.S. military operations from 1968 to 1972, “the ARVN killed more enemy than all other allied forces combined, and suffered more KIA, both actual and on the basis of the ratio of enemy to friendly killed in action,” because it received less air and other tactical support than U.S. forces. In March 1972, during the Easter Offensive, South Vietnamese forces, with American air support, also prevailed against a conventional enemy invasion consisting of 20 divisions. And in April 1975, the 18th Division defending Xuan Loc “held off massive attacks by an entire North Vietnamese Army corps,” according to one report. In the end, those soldiers had even more at stake than the Americans did.